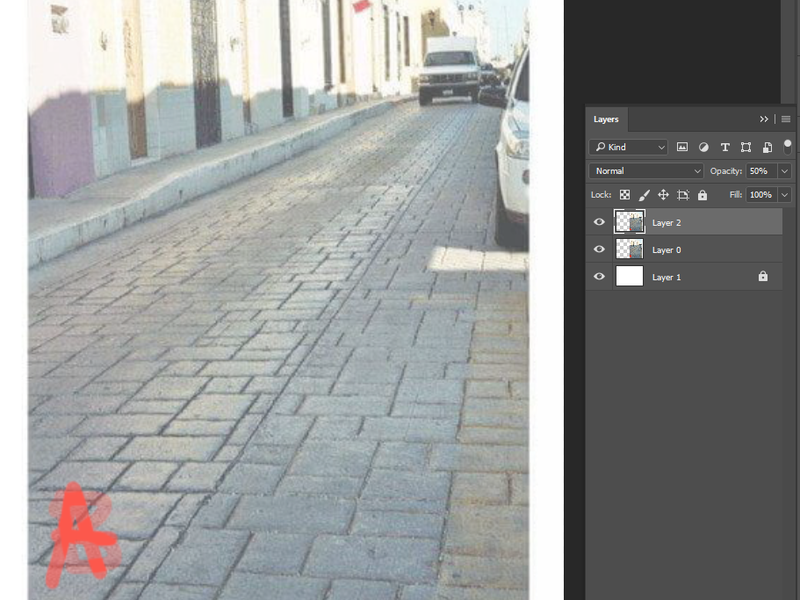 This optical illusion of two photos of a brick road is stumping Reddit and Imgur users. Although these two images look like photos of the same road taken at different angles or heights, they are actually the exact same image. Neither photo was mirrored, flipped, or edited in any way. This is the same photo, side by side. They are not taken at different angles. Both sides are the same, pixel for pixel. Reddit user Saberfox said, "I can tell that it's the same picture, but something makes my brain not want to believe it." Reddit user Shroffinator provided helpful proof that these images are identical by labeling them, and then layering them on top of each other. Once layered, it's obvious that these images are one and the same. Like most optical illusions, the effect of this trick comes down to how our brain works. "It's because the two streets come together at the bottom of the pictures. 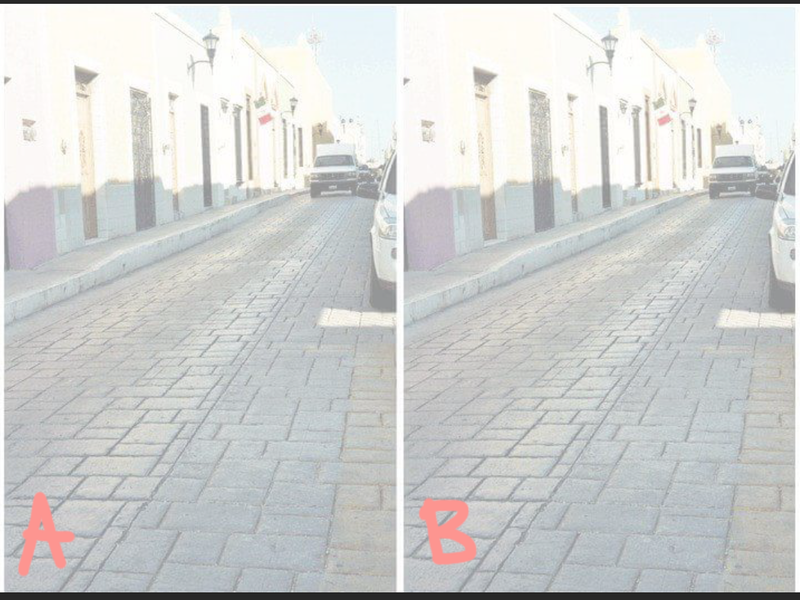 Your brain tries to perceive this as one image with a fork in the road and therefore the street in the picture on the left must be at a different angle than the picture on the right." The Daily Mail compared it to the famous "cafe wall" optical illusion, first observed by neuropsychology professor Richard Gregory. 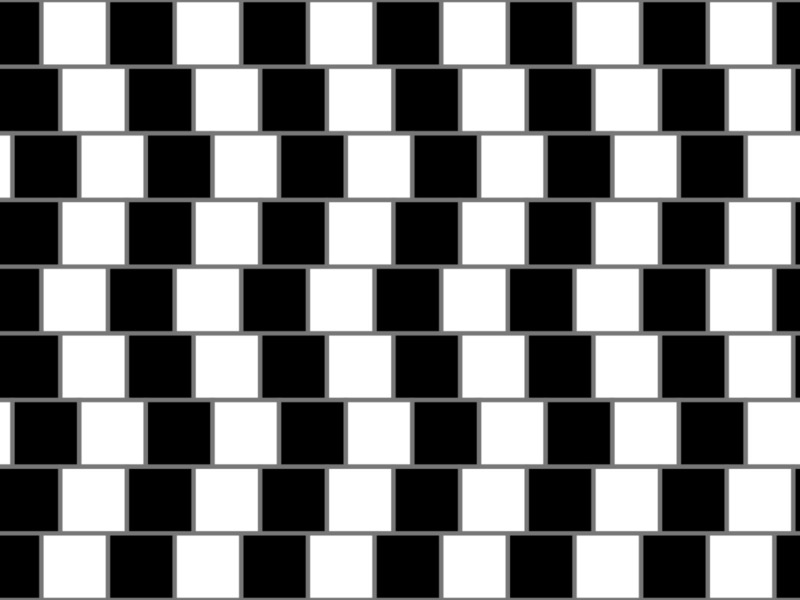 In this optical illusion, the horizontal lines in the image are perfectly straight and parallel, but they appear to be slanted. "Diagonal lines are perceived because of the way neurons in the brain interact," The Daily Mail explained. "Different types of neurons react to the perception of dark and light colors, and because of the placement of the dark and light tiles, different parts of the grout lines are dimmed or brightened in the retina." Even though the duplicate image of the street is not as simple as the black and white tile pattern in the original cafe wall illusion, our brain may be similarly tricked by the diagonal lines. "The left picture has a vertical black edge to compare that angle to while your brain compares the right picture angle to the left picture," Reddit user Itearth said. "This is what makes it look like it is at an angle."